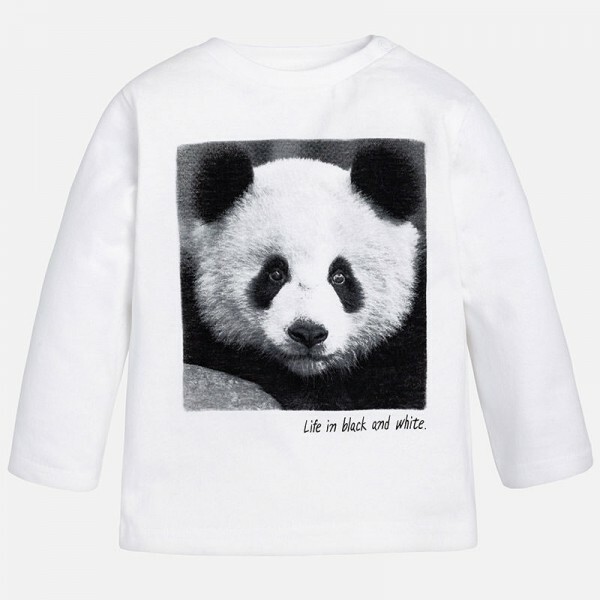 This super cute printed tee with its panda design is sure to be a hit with your little one. Whether he is off to a play date with friends or snuggled up at home catching up on the latest episode of Baby Jake, this t-shirt will look great for any occasion. It's a great choice for any occasion - you can dress it up or down with ease. You can layer the shirt for the cool evenings or wear it as a lightweight piece for the warmer weather. It's easy to wear, and you can team it with anything for a smart or casual look. Shoulder opening with press studs. Wash at 30 degrees, do not bleach, tumble dry at low heat, cool dry only, do not dry clean.